Buy this amazing action camera for less than £200! 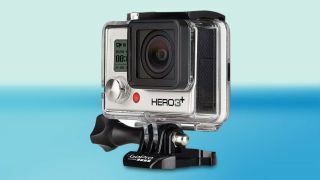 You can save £80 on the GoPro Hero3+ Silver Edition camera today - it's only £199.00 at Amazon. The GoPro range is well-loved by amateur adventurers and professional athletes alike for being simple to use, offering a huge array of mounting options, most importantly, capturing some incredible footage. Don't miss out. RHA SA950i portable headphones is now only £29.95. Celestron Travel Scope 70 is now only £49.95. VonShef Deluxe Donut machine is now only £17.99. Canon EOS M with lenses is now only £199.99. Lenovo Thinkpad B50 laptop is now only £199.98.